Accidents that happen in the city of San Mateo can take many forms. A slip and fall, a car accident, even a dog bite. All of these things fall under the banner of what’s known as personal injury law, and if you’ve been affected by one of these or any other mishap, then you deserve an experienced lawyer to take your case. 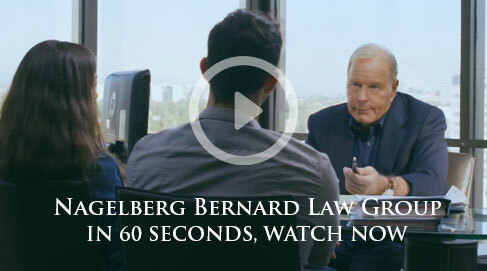 You simply don’t get more experienced than the Nagelberg Bernard Law Group. We have more than 30 years under our belt, and we’ve helped numerous accident victims gain compensation from negligent parties during that time. Our San Mateo personal injury lawyers want to put you on the right track to a better life. Perhaps an insurance company has already contacted you, and you feel like you have to do this alone. Don’t fall into their trap. Let an experienced San Mateo attorney build your claim from the ground up. We will analyze the evidence to prove that negligence caused your pain and negotiate with an insurance company to get you an amount of compensation that is commensurate with the physical and financial pain you’ve sustained. Contact us immediately. It could be the difference between security and ruin. Give us a call today at (650) 532-9300 to receive a free consultation. A member of our highly qualified San Mateo legal team is standing by.